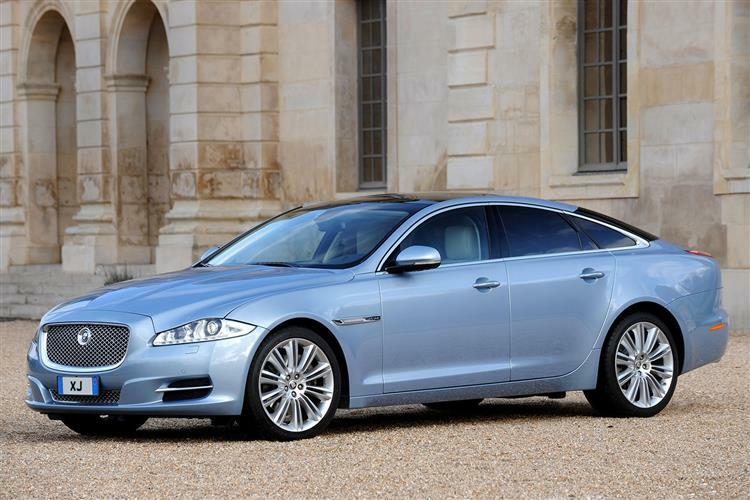 It's the 3.0 V6 diesel models that most Jaguar XJ customers will be forced to settle for but they don't feel like much of a compromise. Jonathan Crouch reports. In diesel guise, the Jaguar XJ might not have the outright pace it displays with the V8 petrol installed but it feels far from sluggish and both ride quality and refinement remain first class. 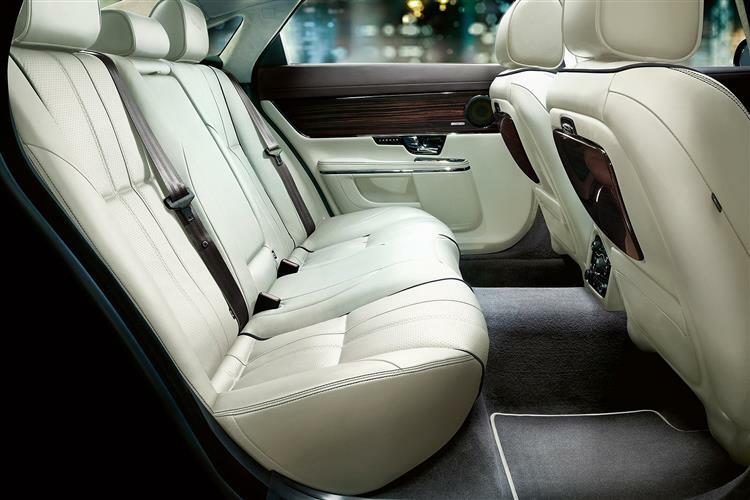 The cabin is a thing of beauty and the exterior has the capacity to turn heads while other luxury saloons fade into the background. When you tickle the throttle pedal in your Jaguar XJ, you want to feel an irresistible force stir, then draw you inexorably but effortlessly up the road. There should be barely a whisper from the exhaust or engine bay at part throttle, a muted growl taking over should you elect to give it the full beans. It has always been thus, so it's no surprise to learn that big petrol engines were usually selected to power Jaguar's flagship in the past. The diesel XJ is a relatively recent occurrence in a model line that can trace its origins back to 1968 but confidence is high that the latest XJ and the latest 3.0-litre diesel engine have the qualities to stop owners longing for a V8. Through at least five generations of Jaguar's flagship, the styling evolved at an arthritic snail's pace. It reached the point where the last model, one of the most advanced luxury cars on sale at the time of its launch, looked ostensibly the same as the rusting relics that could be picked up for peanuts at any second hand car dealership. Jaguar wasn't communicating its dynamism and relevance, but it is now. Today's XJ breaks with tradition in a gentle kind of a way. It's still very much a Jaguar but it revels in its modernity where previous generations have appeared stuck in the past. 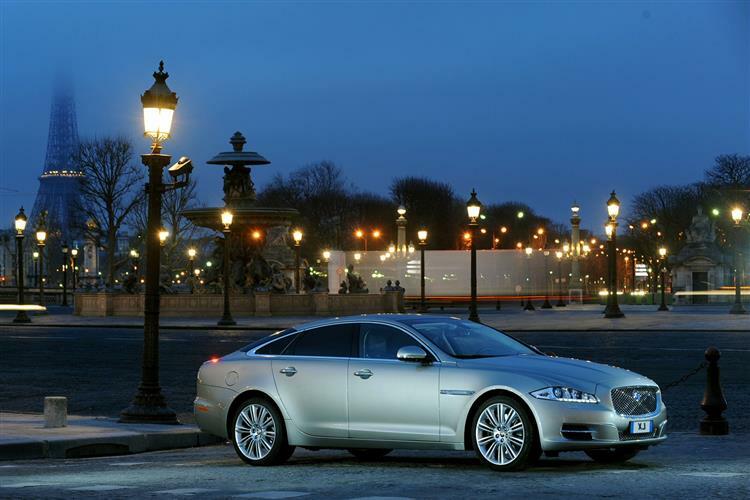 The fitment of Jaguar's advanced 3.0-litre diesel engine is just one way that the car is very much of its time. More performance, more refinement, more efficiency: this XJ's improved 3.0-litre V6 diesel features a host of extra technologies designed to boost output and reduce emissions. 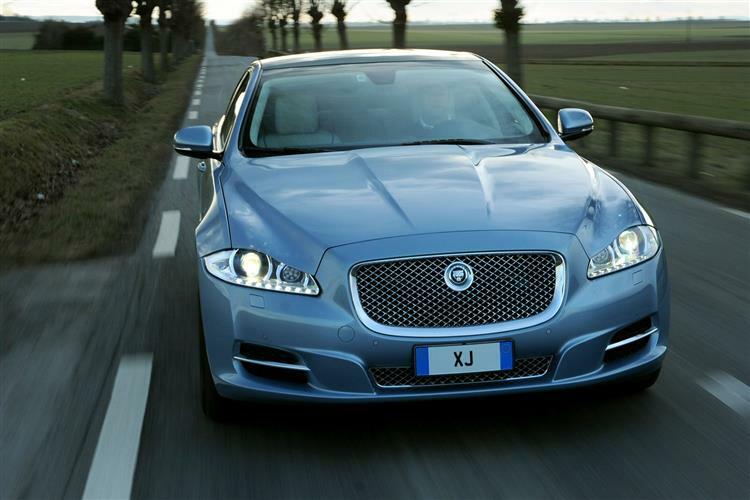 Now Euro 6 compliant, this engine develops 700Nm of torque and can accelerate the XJ from 0-60mph in just 5.9 seconds. There's no problem with the way the 3.0 D delivers its power either. The all-important surge of pace is present as the car gains speed but what's most impressive is the refinement. The engine is barely audible at low speeds and there's only a slight grumble from the exhausts when you open it up fully. Wind and road noise are extremely well suppressed. 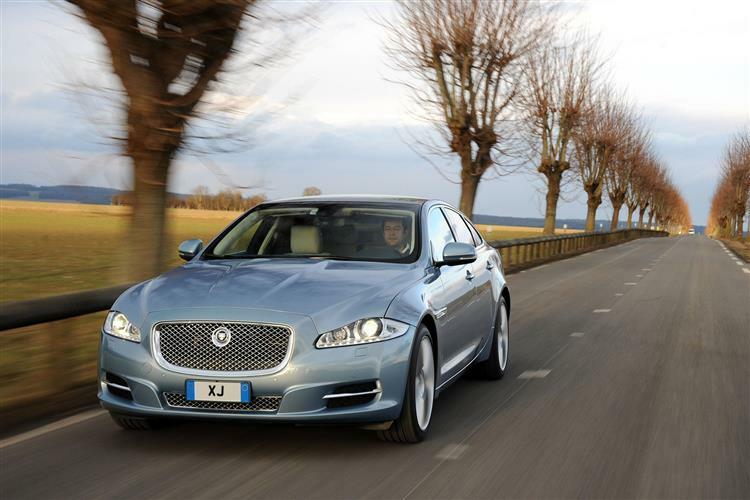 The emphasis of the XJ is on comfort but it can hustle along and proves surprisingly nimble. The sharp electric steering is particularly helpful, making you forget you're piloting a five-metre luxury saloon. The fully independent suspension is similar to that in the XF but drivers have the option of choosing standard, Dynamic or Winter settings via the JaguarDrive rotary knob that takes the place of a conventional gear lever. These modes adjust the suspension, throttle response, gearshift speeds, stability control settings and the active differential to produce the desired results. 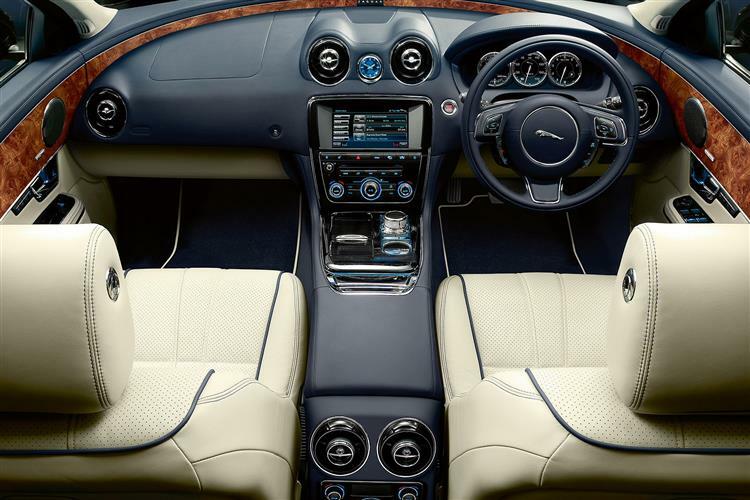 The gearbox itself is an electronically-controlled six-speed auto complete with wheel-mounted paddle shifters which sends drive to the rear wheels on all XJ models. In both short and long wheelbase guises, the sinewy lines of the XJ only serve to emphasise its sporting intent. The front end borrows heavily from the XF, the sharply contoured bonnet and the wire mesh grille that juts forward from the plain of the headlights giving it real presence. As for the subtle styling refresh, well details include smarter full LED headlights which come with 'active front steer', 'static bend' and 'auto high beam assist' functions. The front end has received a larger, more upright grille, while sculpted chrome blades in the outboard air intakes aim to emphasise what Jaguar sees as the car's 'mature, prestigious character'. LED lights at the rear feature a more distinctive night time signature. On the inside, the cabin is a fabulous place to spend time in. The craftsmanship is first class and the materials used for the switchgear and on the dash are of top quality. Improvements include updates to top 'Autobiography' trim - plush 'semi-aniline' leather and classy inlay veneers. All variants get the latest 'InControl Touch Pro' premium infotainment system, this set-up allowing a de-cluttering of buttons on a central console now more pleasing to the eye. As before, the cabin's very spacious, as is the boot, at 520-litres in size. Customers choosing the diesel engine can select from Luxury, Premium Luxury, Portfolio and R-Sport trim levels in short wheelbase form. The long wheelbase models add an 'Autobiography' spec. Even the entry-level cars come generously equipped with twin sunroofs, leather trim, dual-zone climate control, electric front seat adjustment and the touch-screen control interface. The trademark Jaguar drive selector and the less successful digital instruments are also included on all models. 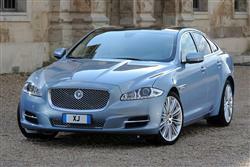 Prices start at just under £60,000, which might steep for a luxury saloon with six-cylinder diesel power. Actually though, it's very competitive against the XJ's key German rivals, especially when the Jag's generous specification is factored in. 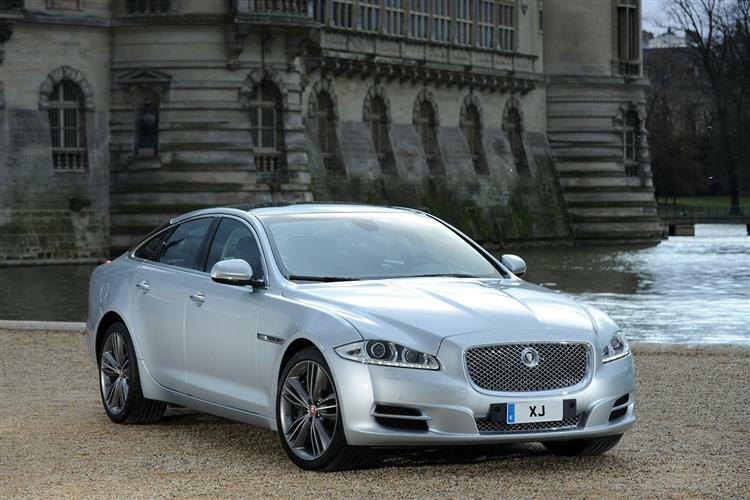 The long wheelbase models come at a premium of around £3,000 over the standard cars. The XJ's lightweight design and aluminium construction should give it a crucial edge over equivalently-powered rivals in terms of fuel efficiency and emissions. The 3.0-litre diesel models certainly shape-up well with 49.6mpg combined cycle fuel economy and emissions of 149g/km putting them on a par with the sector's most efficient cars. The various options facing customers who want a modern luxury saloon with a diesel engine include cars that are hugely competent at what they do but can seem a little bit sterile. Jaguar's XJ 3.0 D delivers a little more personality into the mix than we've come to expect and for that, it's to be commended. Of course, personality is of little use if the car falls down on the basics but this XJ also delivers on grounds of comfort, performance and running costs. The effortless acceleration that's required in a car like this is in evidence but it's the ride quality and refinement that really make Jaguar's effort stand out. The exterior styling might divide opinion but real effort has been made to make the cabin feel special and it's hard to see too many people turning their noses up at the classily modern ambiance - digital instruments and limited rear headroom notwithstanding.